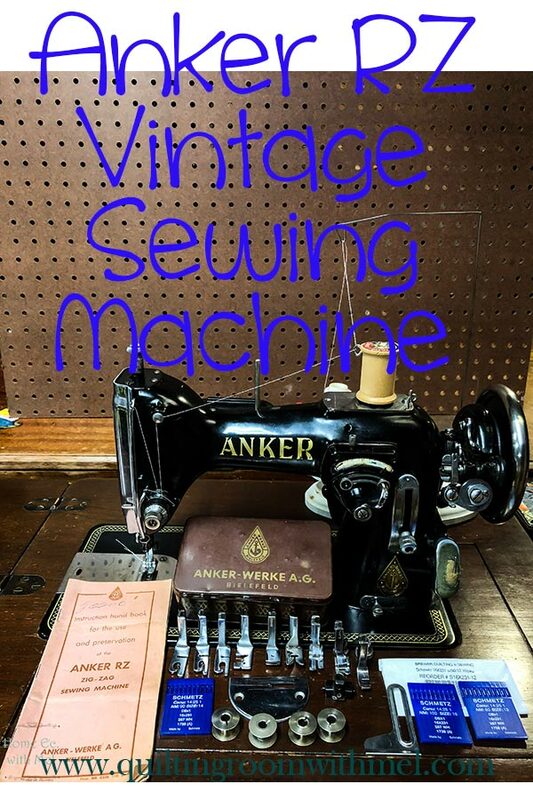 Hello everyone today we are going to be discussing another one of our vintage sewing machines. Like a lot of our sewing machines, it started its humble beginning as a treadle sewing machine. Unlike most others the fact it was a treadle machine had more to do with geographic location and availability of reliable electricity. The Anker RZ was available in West Germany in either orientation, but with only the major cities having electricity and most of its population living in the underdeveloped rural areas it would only be natural to for the majority of its non-export sales to be people-powered in the form of treadle or hand-crank machines. We found our Anker RZ quite by accident during one of our flea market excursions. It is in, what I believe is, its original cabinet. It is one of the factory electrified versions. The RZ was introduced in 1930 by the Anker Werke AG in Bielefeld, Germany. There were two versions of the RZ, one was pre-WW2 and the same body style with some minor differences was post-war. 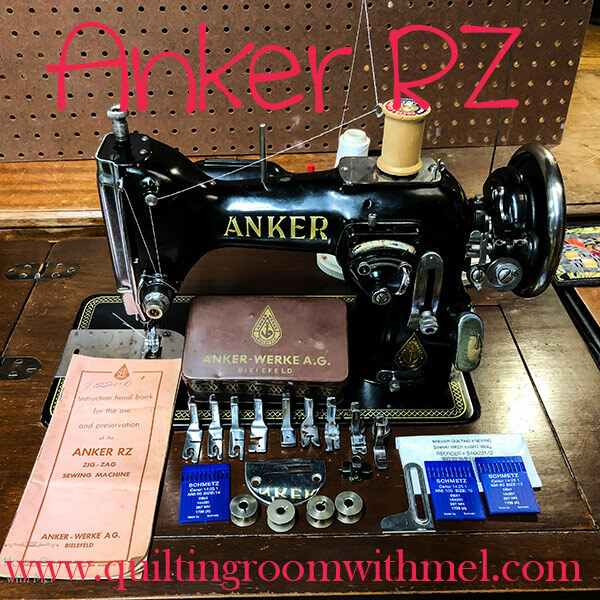 There is also a third sewing machine introduced around 1952, sporting the name Anker RZ automatic but it is a completely different body style with some of them being a cast iron body but the majority were cast aluminum with a very noticeable weight difference. Our Anker RZ is one of the pre-war models and it is the only one we have any personal experience with. Therefore we are not comfortable trying to do an in-depth comparison of the various models. 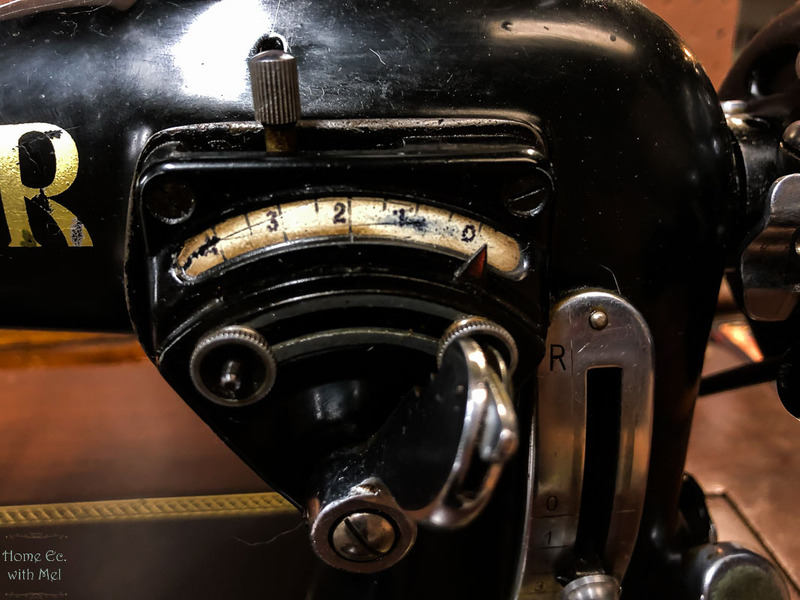 The pre-war RZ is easily distinguishable from its post-war sibling by simply looking at the needle positioning lever and at the stitch width controls. The pre-war RZ needle positioner only controls from needle center to needle right and on our machine, there doesn’t appear to be any graduation markings or boundary marks. It is possible the markings have worn off with time. Whereas the postwar needle positioner is marked for Left, Center, and Right. (L-C-R ) is cast into the body of the machine. As for the stitch width controls that govern the transition from straight stitch (SS) to zig-zag (ZZ) and determines the width of the bight, they may at first appear to be identical but the pre-war machines start with selector lever to the Right marked (0) for no ZZ. The ZZ width is increased by moving the lever to the Left and graduations are from 0 to 4. The post-war model starts with 0 on the Left and moves to the Right with graduations from 0 to 5. Both machines have ZZ stop limiters both to the left and the right for doing button holes and over-lock stitches. The stitch length is regulated by a slide lever, vertical on the pillar with the typical (0) in the middle with (Reverse) to the top and (Forwards) down towards the bed of the machine. Stitches are measured in mm with the longest being 6mm. The feed-dogs can be dropped below the bed due to a horizontal lever at the bottom of the pillar marked (S) on the left and (E) on the right. (S) = sewing and (E) = embroidery. The RZ uses a class 15 bobbin and bobbin case paired with a 16x1 needle, our bobbin access cover actually shows a 16x87 needle stamped into the plate. That needle cross-referenced to a 16x 231, 287WH, DBx1, and system 1738 (A). The 16x231 is a common industrial needle and I found a very wide variety of replacement needles manufactured by Schmetz. I am fortunate that our LQS’s are more than willing to order me special needles when I run into a machine that needs them. The upper tension is controlled by the typical center spring driven pressure plates with a numbered knob and an indicator line to act as a reference point when balancing a stitch. The German engineering involved in creating the RZ was certainly some of the best in its time. It sews with impeccable smoothness and precision, partially because it seems to have more places to oil and lubricate than most other machines incurring similar usage. And secondly, because it was built like a tank, it is the heaviest domestic machine we have ever handled. Weighing in at roughly 38 lbs. Roughly because to weigh it, I weighed myself holding it, and again without holding it and subtracted to find the difference, which was 37.7 lbs, according to the digital scales. You will notice that I have said nothing at all about speed and power of the machine; I don’t think it is fair to judge a machine that is not in its original form. Our machine has a replacement motor on it and I am not sure what the original motor size or speed was. Ours is a 1.5 amp 3000 rpm motor. It handled everything I expected it to and then some. The only improvement would be the addition of an electronic foot peddle. But it can wait till the knee controller quits. The Anker RZ is truly a joy to use and it has a history that requires its own blog post sometime to understand, it can also wait. So until next time enjoy your machines your way and may you never run out of bobbin five minutes before you run out of the seam.